Italy presents a great diversity of people; of food and wines; iconic architecture; footprints of ancient and medieval civilisations and a huge variety of scenery ranging from almost desert to lofty mountains. There is no one thing or region that defines Italy but in the north, its lakes reflect the magnificent Alps, so high they appear to puncture the sky! 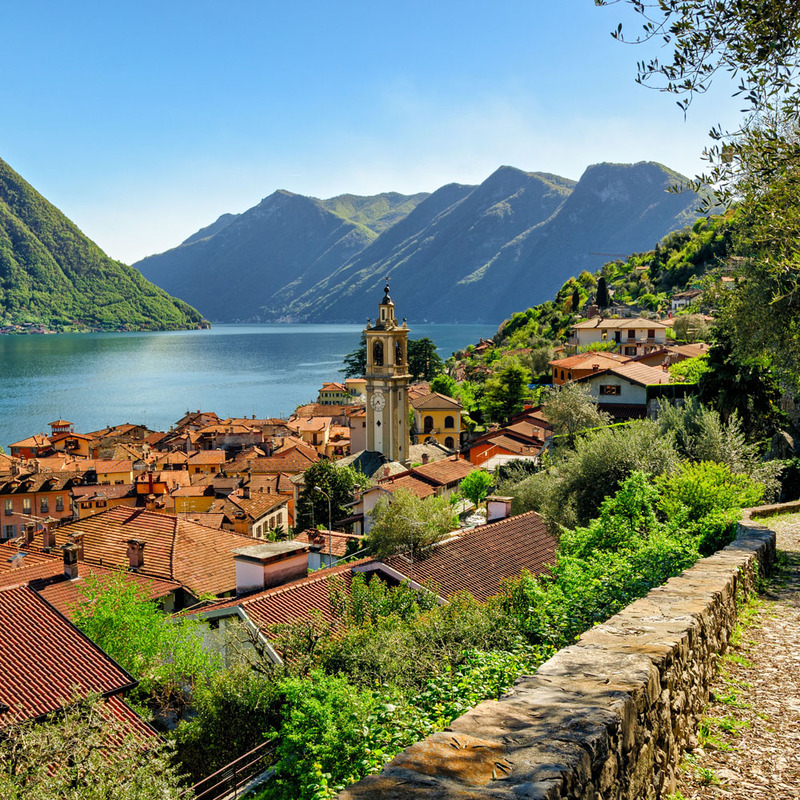 On this wonderfully varied tour we explore Lake Como, one of the most beautiful lakes in the world, plus some stunning icons of northern Italy and Switzerland. Described by Wordsworth as ‘a treasure the earth keeps to itself’, visitors have been attracted to the lake for centuries in search of relaxation, culture and inspiration. Both Verdi and Rossini worked in lakeside villas here, together with countless poets. Its atmosphere is one of an eerie, near-silence, broken only by the rhythmic lapping of gentle waves on the lake shore whilst above, birds of prey soar on the numerous thermals generated by the gentle mountain breezes. The scenery is just awesome with the mirror-like, deep blue waters reflecting the surrounding hills and snow-capped peaks dotted with tall, typically Italian, ochre and magenta coloured buildings and opulent villas lining the lakeside itself. Majestic mountains rise almost vertically towards the deep blue sky with the lower slopes covered in lush vegetation, adding an invigorating aromatic backdrop to a most harmonious scene. 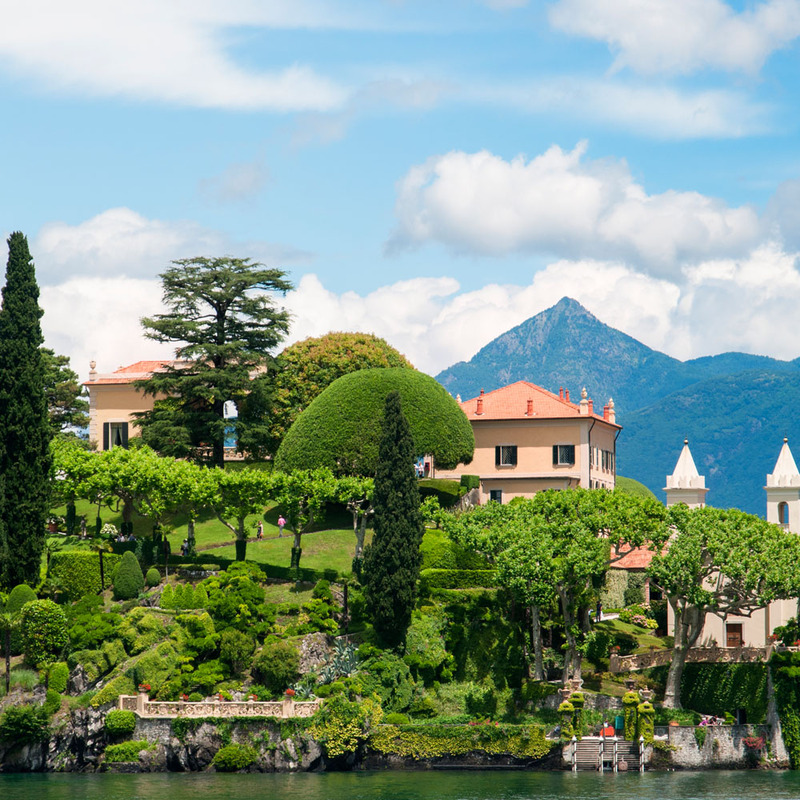 For a contrast we visit nearby Lake Maggiore too, almost Mediterranean in character and lined by verbena, palm and orange trees, and a string of 19th century picturesque towns creating a true ‘belle époque’ atmosphere. Then just to the north is of course Switzerland with the most dramatic alpine scenery on the planet, and at its heart, chic St Moritz. We explore this too, also taking a trip on the nearby iconic Bernina Express, one of the world’s most scenic rail journeys through the gorgeous Poschiavo Valley. Next it’s Bergamo, a classic hilltop city so reminiscent of this part of Europe, it has one of the most charming hearts of any medieval city in northern Italy and dominates the Lombardian plain below. Surrounded by huge ramparts and within, its wealth of renaissance buildings and centuries old squares, lined by traditional cafes and restaurants selling fantastic Italian food, it’s a delight to explore. Art lovers will really appreciate the Galleria dell ’Accademia, a major art gallery with superb works by Titian, Raphael, Canaletto and many more. One of the most charming attributes of this lovely atmospheric city is that it really is an undiscovered gem, being almost totally devoid of tourists. In designing this tour we really feel we have selected the very best of this wonderful area for you to savour at your leisure. You should arrive at the airport to take your flight to Milan from where you will be taken to your choice of four-star hotel. The rest of the day will be spent at leisure, allowing you time to settle into the hotel and start exploring if you wish. 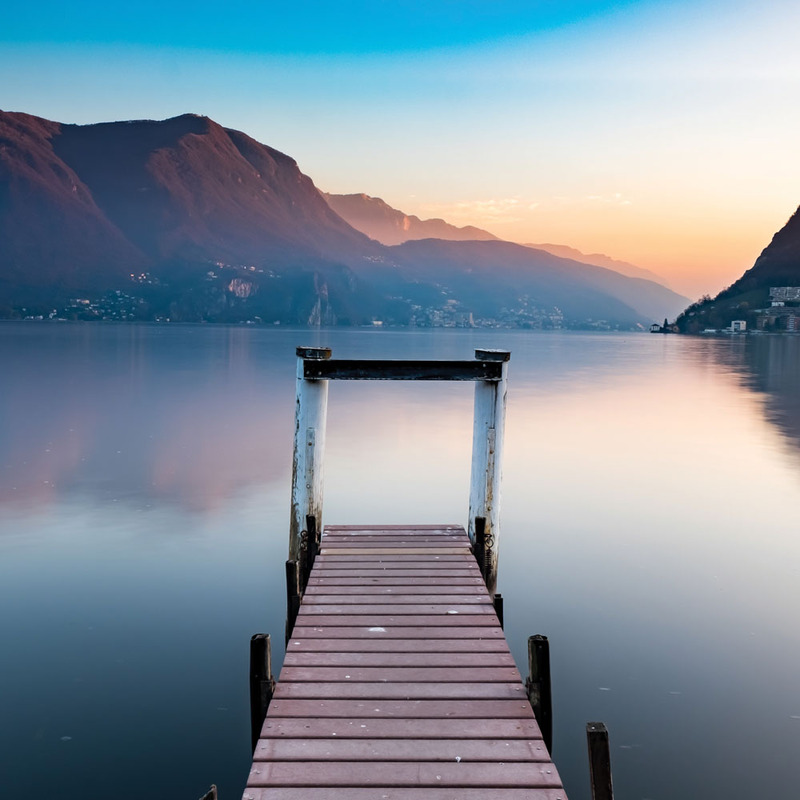 Lake Como, one of the deepest in Europe, has been beloved of romantics since the famous Roman chronicler Pliny wrote of its luxuriant beauty and it has inspired some of the best works by greats such as Verdi and Rossini. A favourite of Shelley and Wordsworth, the delights of Lake Como are many and varied and this morning you can enjoy one of its many highlights, a private boat and tour of the beautiful, 18th century Villa del Balbianello, one of the finest villas surrounding the lake. Originally built for a cardinal, it features a renowned collection of art and historic furniture, ironically much of it English, including an oak bureau from Nelson’s flagship HMS Victory. The gardens are equally stunning, being a series of manicured terraces full of fragrant roses and colourful borders, dominated by a classic three arched ‘loggia’, and all creatively planted using the rugged topography to great effect. The boat then takes us to the elegant and exclusive resort of Bellagio which, with its idyllic location on a promontory on the lake, is often described as the most beautiful town in Italy, and when you see it you will almost certainly agree! Once the haunt of European monarchs, today the attractive, pastel-coloured buildings, faded by decades of sunshine, line the lake shore and narrow cobbled streets and lanes climb their way to the hilly centre. Awash with colourful flowers Bellagio cannot be bettered for a long lazy lunch in one of the many lakeside restaurants, followed by a stroll perhaps amongst the many typically formal Italian gardens so beloved of romantics over the centuries, sprinkled as they are with fine, 18th century sculpture. Spend the afternoon exploring at your own pace before returning to your resort by boat when you wish. Today, we enjoy a contrasting day of spectacular scenery and extraordinary Swiss engineering. Firstly we ascend up the Valtellina, a classic alpine valley with soaring peaks rising steeply on both sides to Tirano, where we board the famous Bernina Express. 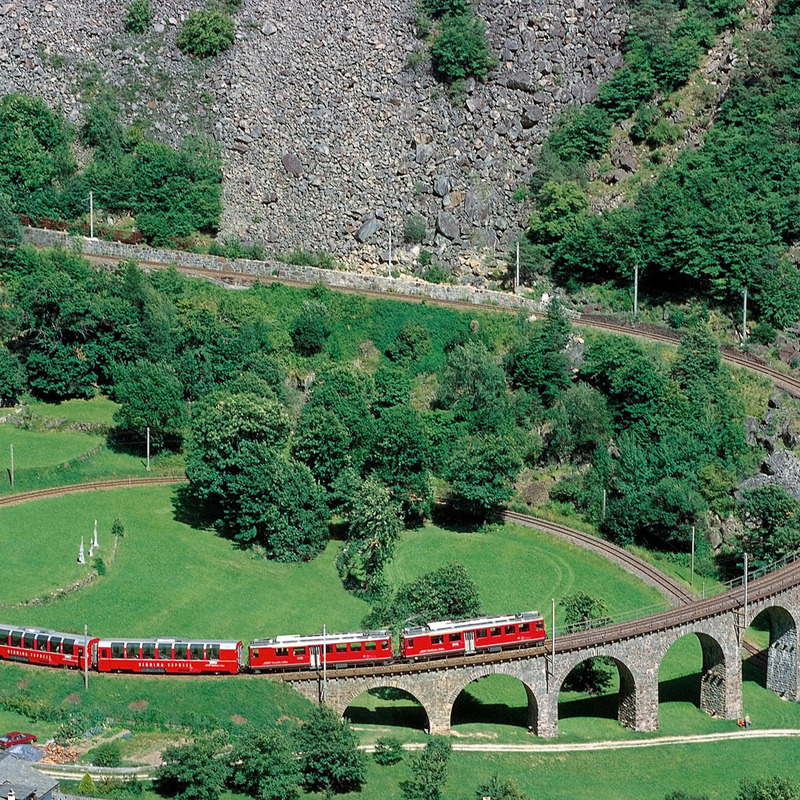 One of the slowest ‘express’ trains in the world, this remarkable Swiss train twists upwards in an amazing sequence of spirals, loops and tunnels to the summit at Ospizio Bernina, the highest through station in Europe. Here, you are surrounded by stunning vistas over snow-clad peaks and ice-cold glacial lakes which strikingly mark the watershed between Mediterranean and Black Sea river systems. We descend sinuously through pretty pastures and dense pine forests to the ostentatiously chic resort of St Moritz, home of the infamous Cresta Run toboggan track, where there’s time for a spot of window shopping or perhaps afternoon tea and cake. Listen carefully and you may notice a rather unusual tongue: here, in this tiny corner of Switzerland, the locals speak Romansch, an ancient and little known Latin language. We return through yet more spectacular scenery to Lake Como for dinner. Today we visit nearby Lake Maggiore and its most attractive lakeside town, Stresa, which owes its origin to the days of the ‘Grand Tour’ when Europe’s 19th century aristocracy, having crossed the border from Switzerland, experienced their first taste of Italy! Unmistakably Mediterranean in character, its shores, lined with oleanders and palms, backed by classic belle époque hotels create an ambience of classic gentility. 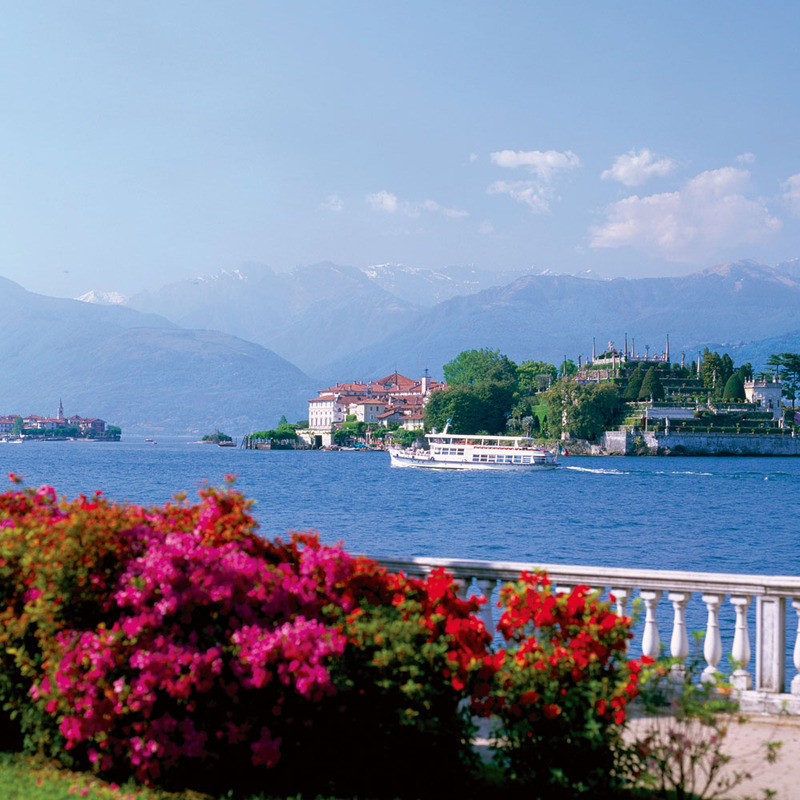 Take a stroll along its impressive palm-lined promenade and enjoy the fine views across the shimmering lake to the Borromean Islands just offshore. You can also take the short boat trip to Isola Bella, an island transformed by a 17th century count, from a barren rock into an amazing terraced garden. This stunning display has long been visited by the famous, amongst them Queen Caroline of England, wife of George IV, plus Napoleon and Josephine. For the literary enthusiasts, you can relax at the bar of the Grand Hotel, featured in Hemingway’s ‘A Farewell to Arms’ and also frequented by the likes of George Bernard Shaw and Charlie Chaplin. But to see everything at once you could experience the cable car to the summit of Monte Mottarone for panoramic views to the soaring snow-capped Alps before returning to our hotel for dinner. Today you are free to explore as you wish. Enjoy a delicious Italian coffee in one of the pleasant cafés. Alternatively you may decide to take the boat to the lakeside town of Como or visit the gardens of Villa Carlotta in Tremezzo. This morning we travel to Lugano, capital of the Italian speaking canton of Ticino which was seized by the Swiss in 1512 and has steadfastly refused any opportunity to revert to Italy ever since! It is absolutely fascinating, an eclectic mix of traditional Swiss values and the more laid-back Latin influences from across the border. The trains run on time and shops are just as chic, but there’s a distinctive Mediterranean feel unlike anything you’ll experience elsewhere in Switzerland. Tiny alleyways lead to unmistakably Italian piazzas, where you can relax over a typically Italian lunch, but like everywhere else in Switzerland, the traffic laws are obeyed without question - it really is a quirky blend! The town is a delight to explore being centred round the café-lined main square, ideal to people-watch whilst enjoying a superb coffee. Alternatively, you can explore the myriad of twisting lanes of the old town or the dense network of shops with their displays probably unmatched anywhere in the world. Lugano is a lovely place to idly wander, before we enjoy yet more outstanding scenery on our return journey to our hotel for dinner. After breakfast we visit the historic town of Bergamo, said by many to be the most beautiful town in all of northern Italy! We agree – it’s enchanting. The old town, strikingly crowning a hill, was ruled for centuries by Venice, one of the world’s great Renaissance powers, when much of the graceful city we admire today was built. Centred round the Piazza Vecchia, its harmonious main square is a wonderful collection of medieval and Renaissance buildings being acclaimed as some of the finest in Italy, ranging from a palace to wrought-iron balconied grand houses. From the top of the 12th century tower, you can enjoy splendid views over the jumble of ancient roofs to the lush plain below, and the myriad of lanes and alleys reveal fascinating cameos at every turn. The cobbled streets are lined by a wealth of thriving traditional shops, plus bakers and butchers displaying, as the Italians do so well, a mouth-watering range of cakes, salamis, hams and a host of other delicacies - ideal ‘goodies’ for friends at home. Browse around the antique shops, ascend the city walls and just absorb the atmosphere of yesteryear. This morning you will enjoy a guided tour of the old town followed by some free time to explore as you wish. For art lovers, a short distance from the old town, you may wish to visit the highly acclaimed Galleria dell ‘Accademia, displaying masterpieces by Canaletto, Holbien, Velázquez and Botticelli. 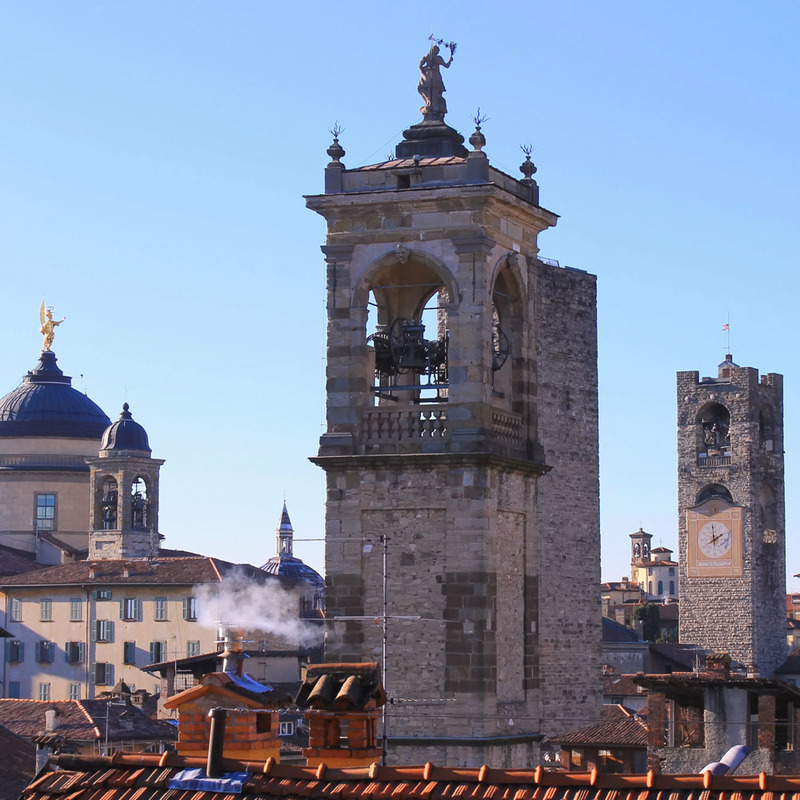 All in all, Bergamo is a superb spot just to watch the Italians going about their daily business: friends exchanging a few words in the street, food shopping for another mouth-watering meal or trying in vain to calm over-exuberant children. This is real Italy and you will love it! We return to the airport at the appropriate time for our flight home after a memorable and varied tour. The price of this holiday is per person, based on two people sharing a twin room. Single and lake view rooms are subject to availability at the relevant supplement. The price includes return flights, seven nights’ accommodation with breakfast and dinner, all local taxes and transfers, all tours as mentioned, entrance to Villa del Balbianello and the services of a Riviera Travel tour manager. Stays at the Grand Hotel Menaggio will be on a bed & breakfast basis with the option to pre-book a hotel dining package. Stays at the Grand Hotel Menaggio include daily breakfast only so have the flexibility to enjoy the local cuisine at the town’s fine restaurants. If you wish to dine in at the hotel, you may pre-book dinner for four nights at £48 per person, or dinner for seven nights at £84 per person. Please contact us to add this dining choice to your booking. All transfer times listed here are approximate, and dependent on the number of hotel stops and traffic. 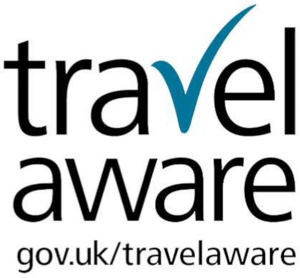 If you have a question regarding transfer times please don't hesitate to contact us. Whilst we do our best to ensure an exceptional experience, the views from the lake facing rooms may at times be partially obstructed.